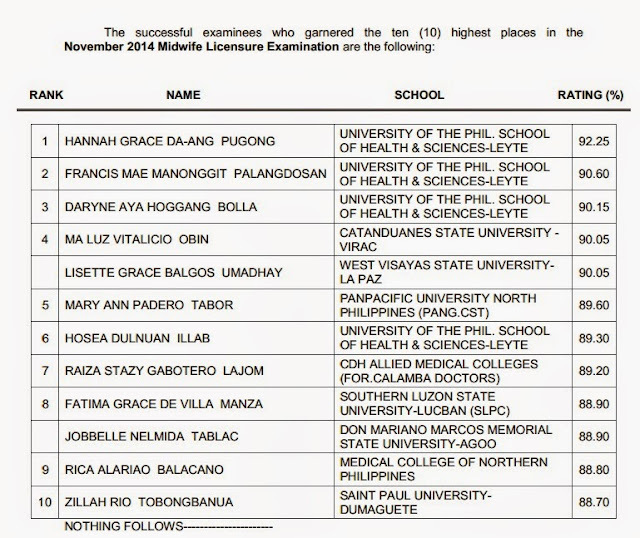 The Professional Regulation Commission (PRC) has announced on today, November 13, 2014 the full list of passers for November 2014 Midwife board exam. Hannah Grace Da-Ang Pugong, graduate of University of the Philippines (UP) - School of Health and Sciences - Leyte topped the board with 92.25 percent grade. 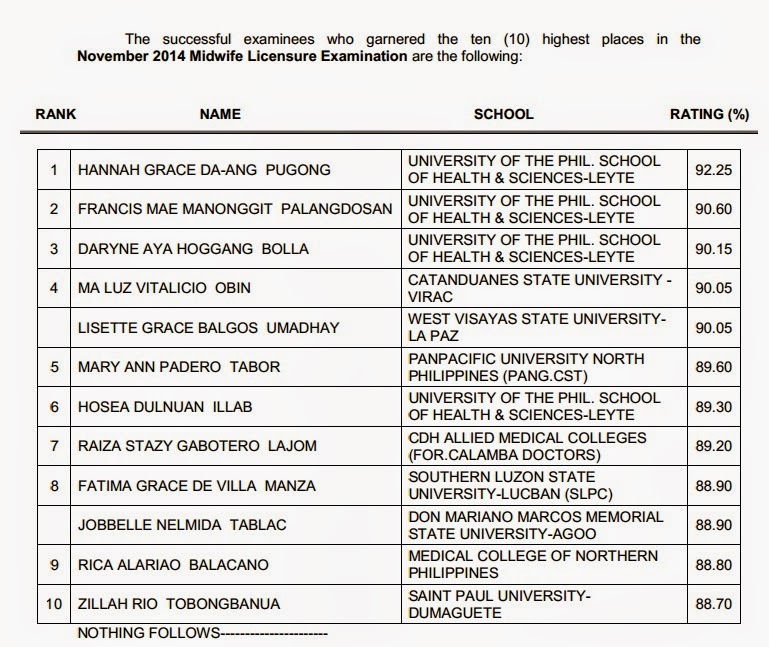 Another UP School of Health Sciences- Leyte grad Francis Mae Manonggit Palangdosan ranked second with 90.60 average grade. The University of the Philippines School of Health Sciences Leyte is a medical school supervised by the University of the Philippines, Manila.